SkillsFuture Scammers: Ng Cheng Kwee et al. A 41-year-old man has been hauled to court over his alleged involvement in Singapore's largest case of a defrauding of a public institution to date involving nearly S$40 million. The government agency involved is SkillsFuture Singapore (SSG) which promotes a culture of lifelong learning. On Tuesday, Ng Cheng Kwee was charged with three counts of intentionally perverting the course of justice. Deputy Public Prosecutor Victoria Ting told the court that a criminal syndicate could be involved and Ng is believed to be one of the main perpetrators. Before this, Ng had been charged with one count of engaging in a conspiracy to commit forgery. He had also been charged with concealing benefits of criminal conduct - namely S$6.7 million in cash and 11kg of gold worth about S$600,000. Ng is said to have committed these offences between this April and last month. Four other people have also been charged over their alleged involvement in the case. In a statement on Tuesday, SSG said it detected anomalies in claims for training grants at the end of October. It immediately suspended all payments of grants to nine business entities and reported the matter to the police. Following this incident, SSG said it has taken immediate actions to tighten its processes, which include implementing fraud analytics, while conducting a comprehensive review of the system. "SSG takes a serious view of any individual, training provider or organisation that abuses its funding schemes, and will not hesitate to take action against those who contravene its funding rules and guidelines," said the agency. Ng is now remanded at Central Police Division and will be back in court on Dec 26. Re: SkillsFuture Scammers: Ng Cheng Kwee et al. SINGAPORE - A jobless man who helped his sister and brother-in-law launder and hide part of the proceeds of their $40 million SkillsFuture scam - the largest case of a government agency being defrauded - was sentenced to five years and eight months' jail on Tuesday (Nov 27). Lee Chi Wai, 30, had helped squirrel away $6.7 million in cash and 11kg of gold valued at $626,500 at his Sengkang flat. He also used $282,500 to buy 5kg of gold and asked his sister for a $30,000 loan to buy a car for himself. Lee is the first of five people charged in court over the scam last year to be sentenced. The cases against his sister Lee Lai Leng, 40, her husband Ng Cheng Kwee, 42, the Lee siblings' mother Tan Yoon Nooi, 60, and Ng's friend David Lim Wee Hong, 40, are pending. 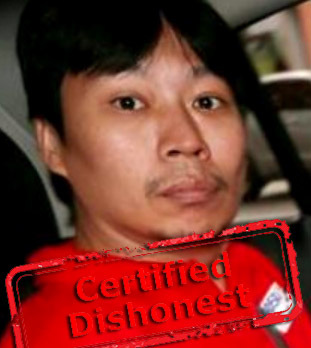 Ng is alleged to be the mastermind of the scam which netted nearly $40 million in fake claims from SkillsFuture Singapore (SSG), a government agency that gives out grants and funding for lifelong training. Between May and October last year, the syndicate used a network of nine business entities - three training providers and six applicant entities - to submit 8,386 fraudulent course fee grant applications and a corresponding 8,391 claims to SSG. The applications and claims were submitted on the basis that training courses were purportedly provided by the three training providers to about 25,000 employees of the six applicant entities. As a result, SSG disbursed $39.9 million in course fee subsidies.